2018 Manawatu Wanganui Interprovincial rep, Tyler Wood, continues to impress in the National events with another impressive tournament performance, this time at the Muriwai Open Charles Tour event which finished yesterday. Wood finished the 4 round event with a 7 under par total, to earn 5th place, just 6 shots back from NZ Professional James Anstiss, who fired a final round 7 under 65 to claim victory. Wood who is also making a habit of shooting low rounds, fired a 6 under par 66 in round 3, to bolt up the leaderboard. He finished 2nd amateur, behind Daniel Hillier, regarded as NZ's best amateur during the last couple of years. A week earlier Wood contested the 54 hole Wairarapa Open at the Masterton Golf Club, and won that event by 6 shots after shooting a final round 62, which included 6 birdies and 3 eagles. 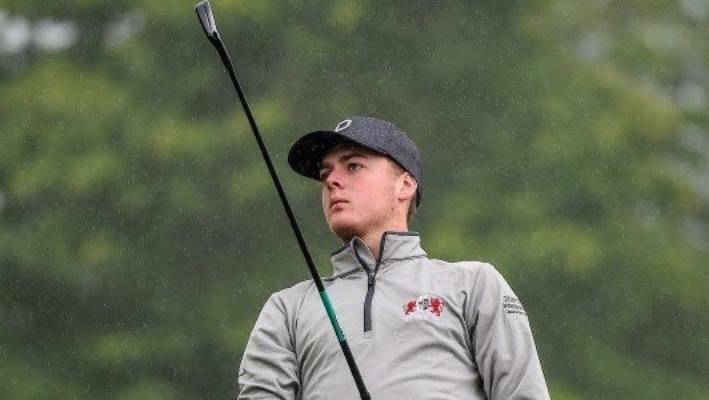 And at the recent NZ Strokeplay Championship, in Christchurch, Wood was in contention until a final round 78, eventually dropped him down to 10th position. However a top 10 performance at a NZ Championship is still a very good performance.